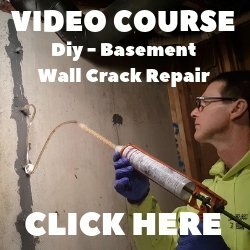 If you want to learn how to stamp concrete I'll walk you through it step by step. Decorative stamped concrete is very popular, if you want to stamp your concrete floors or have a stamped concrete patio you've made a good choice. 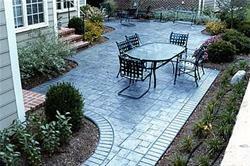 There are many stamped concrete designs and stamped concrete patterns to choose from. 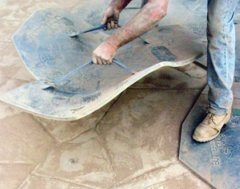 When learning how to stamp concrete the first thing you'll need to do is decide if your going to use colored concrete or a concrete acid stain to achieve the right color tone. You can use both if you want to, for this discussion I'll use colored concrete. 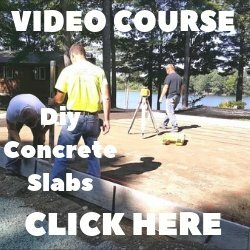 If you need to know how to pour concrete or learn about subbase preparation and forming a concrete slab, click on those links for that information. Pick out your concrete stamps, you can usually rent these, and purchase a powdered release agent. The release agent is broadcast on top of the slab, it does two things, it keeps the concrete stamp from sticking to the surface and it adds another tone of color to the concrete surface. Lay out the stamps on the ground to get a feel on how they will go together and to help you decide where to start stamping. It's good to have enough stamps to go 1 1/2 times across the width of the slab. O.K. the concrete is colored, the slab is poured and your ready to start stamping. Make sure when you floated the concrete you didn't leave any heavy lines, these might show after your done stamping. STEP 1. Wait for the bleed water to evaporate from the surface of the concrete. Then check the concrete to see if it's firm enough by pressing your finger into the surface about 1/2". It's all about timing here! STEP 4. Lay your second stamp next to the first one, make sure they are snug or locked together. Continue laying all your stamping mats across the width of the slab. Pressing or tamping them into the surface of the slab with a hand tamper. Don't tamp too hard, just hard enough to leave the impression of the stamp. STEP 5. When you've laid out and tamped all the concrete stamps, lift the first one straight up. Be careful not to drag a corner or slide it in any way. Continue that process, leapfrogging them one by one until the entire slab has been stamped. STEP 7. Clean off the powdered release agent. You can broom off the majority of it and pick it up, then use a garden hose and rinse off the rest. Some will stick to the surface, that's what creates a two tone colored effect. It will look great after you seal it. STEP 8. Apply a concrete sealer after the surface is completely dry. It might be a good idea to wait 1 day after you rinse the stamped concrete to seal it. Moisture and concrete sealers don't mix well together. That's it you've learned how to stamp concrete. Click on STAMPED CONCRETE SEALERS to learn which sealer to use. I would recommend hiring a professional concrete stamping contractor. These steps don't sound to hard but there are a lot of variables like wind, sun, a hot concrete mix, or half the slab is in the shade and the other half is in the hot sun, that can make stamping concrete very challenging. With concrete you only get one chance to do it right, especially with stamping, you have a small window of opportunity to make something that looks really good vs something that doesn't look good at all.